ESLvideo.com is a great free site that enables you to create your own quizzes based on video clips from popular sharing sites like YouTube or BlipTV. You have to register and log in and then you just grab embed codes for the video you want to build you quiz around. The site is multilingual so it doesn't just have to be an English language video. 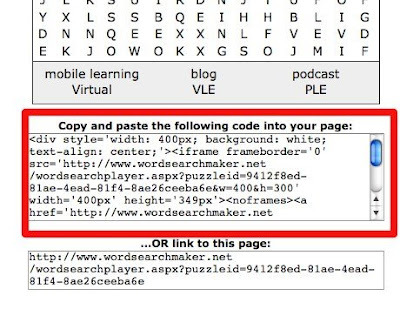 As well as this the site has a huge collection of quizzes that have already been created by users and you can grab the code for these and add them to your blog. As users create quizzes they also classify and level them so it makes it very easy to choose something for your class even if you are in a hurry. You can also register and create your own 'class' on the site. 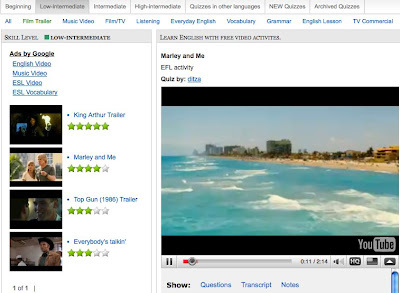 which you can then invite your students to, so that you control which quizzes they do. This is a great and simple way to create motivating online tasks for your students and it's totally free. It also allows you to produce materials at home that your students can watch at home in schools where YouTube is blocked. The only problem I had with it was that some of the video clips are restricted geographically by YouTube, but if you are creating your own for students in your country then you'll soon realise what is and isn't available. 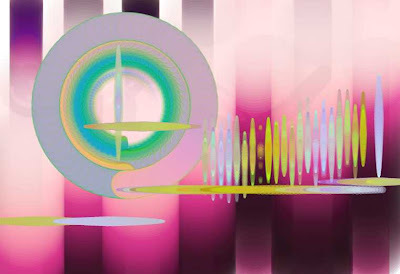 I hope you enjoy this site and create lots of great quizzes. My Movie Moment is a tool designed for Father's day, though I'm not sure I would want one of these clips for a Father's Day gift! 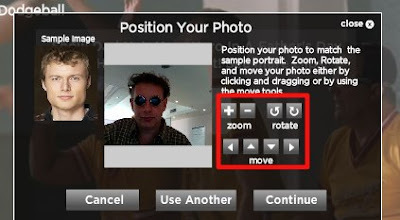 It enable you to put yourself into one of six famous film clips, simply by uploading an image of yourself. Here's one of me talking about my working day! My Movie Moment is simple to use. 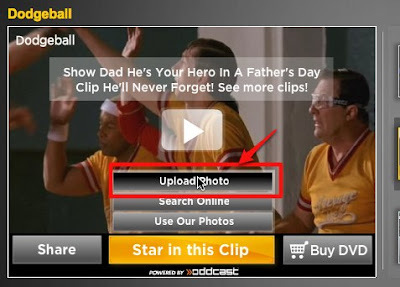 You just select the clip you want to use and watch it, then click on 'Star in this Clip' and upload your photo. 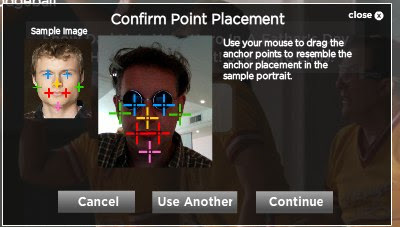 Then size it so that your face fills the field using the tools on the right. Once you have done this more the markers over the parts of the face. Click on 'Continue' and the movie should be ready. 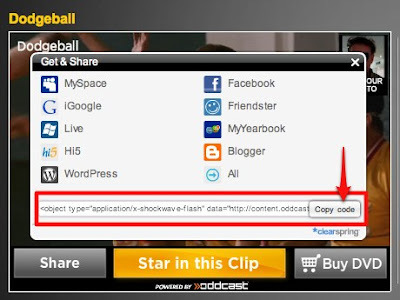 To save your movie you click on 'Share' then either get the URL, or click 'Grab' to get an embed code. How do we use this with students? Much as I don't think these are great Father's day gifts or appropriate for younger learners you could use them with your students as prompts for creative writing. 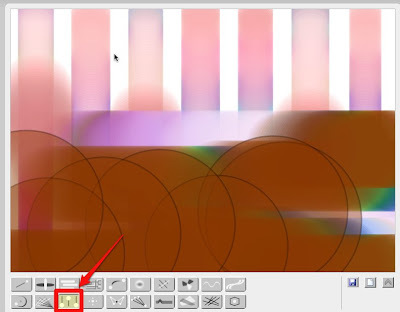 Get your students to create a clip using their own image. Then they should write a story of the context surrounding the clip, i.e. What happened before the clip? This is a good way to get students using contrasting time structures and tenses in a reasonably creative and imaginative way. This is likely to work better if they haven't seen the films as they won't try to rely on the film story. 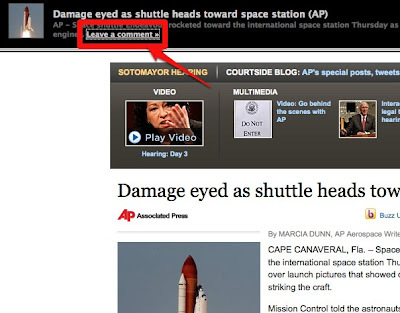 They could upload their writing to a blog and add the the clip by embedding it in the blog or website page. As I said I think some of the clips could be a bit inappropriate for younger learners, so have a look at them all and check them for suitability before you get your students on the site. I hope you find this useful and you and your students enjoy it. 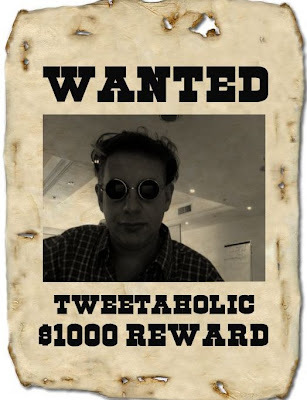 I've just been trying out a great new tool called Wetoku. 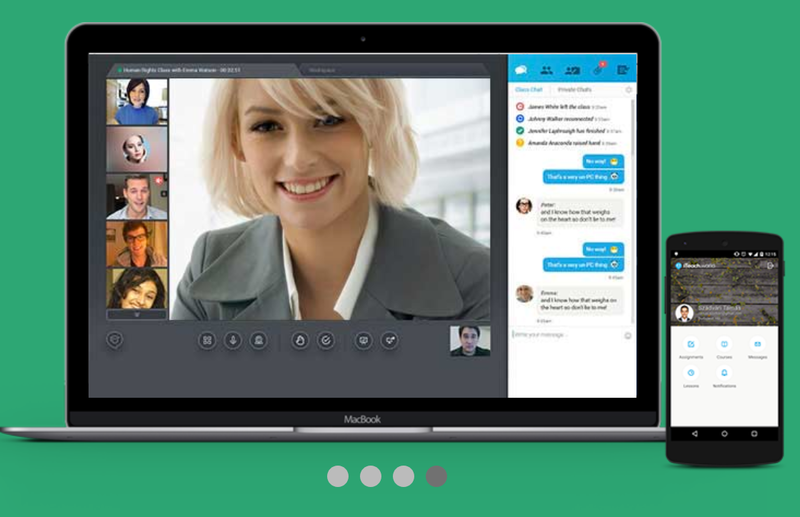 Wetoku is a video conferencing tool which enables one to one live communication which can easily be recorded and then saved for comment or embedded into blogs or websites. Creating an interview is really easy. You just log in to the Wetoku site (still in beta at time of writing) Click on 'Start Your Interview' add the information about who is being interviewed etc. 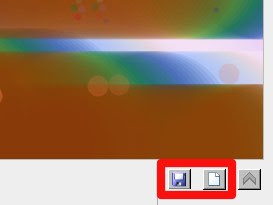 Then click 'Next'. 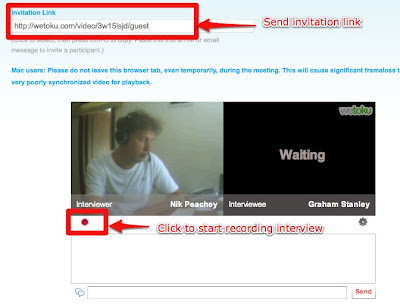 You should then go to the interview interface and get a link to send to your interviewee (by email). Once the click the link they'll appear next to you and you just need to click on the record button and start your interview. When you are finished, stop the recording and watch it. you can then either record it again or click 'Done'. When you click 'Done' you'll see the interview and be able to share it using the URL or embed code. 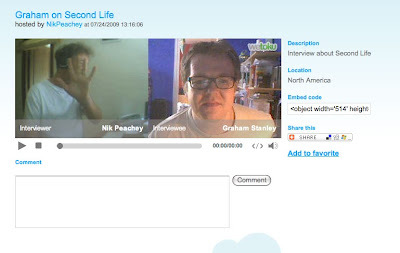 Visitors to the site can also leave comments on the interview. 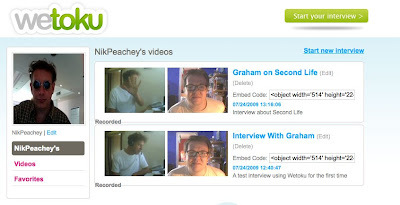 All your video interviews are stored in your profile and it is possible to go back and edit the information on them, but not the video itself. How can we use this with students? This is a fantastic tool for setting homework or distance learning assignments for our students. They can interview each other in pairs then post the videos and you can leave feedback for them in the comments section. 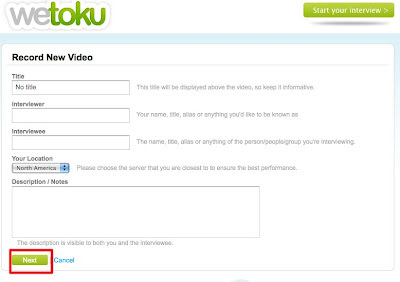 You can record short video tutorials with them and they can watch afterwards and review. 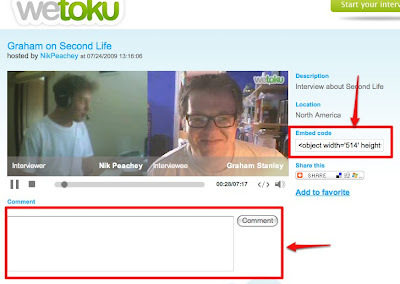 You can create interviews for them to watch and comment on them. This ability to record and watch the interviews again / comment on them makes this a really useful teaching tool. The sound quality is pretty good so students can really hear them selves quite clearly. This is an ideal tool for getting them to reflect on and try to improve their performance. I hope you enjoy this tool and please feel free to leave any suggestions or links to interviews you create below. 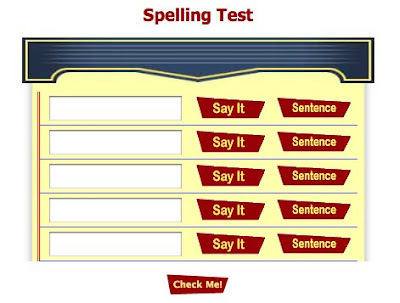 Spelling City looks misleadingly simple but is really a fantastic site for creating or getting students creating their own interactive multimedia word tests, games and practice activities. 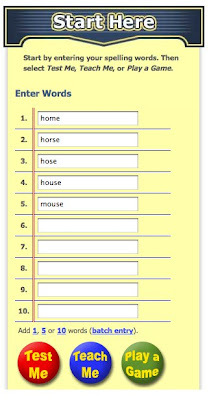 Students simply type in the words that they want to revise and then decide which of the three modes they want to use. 1. Test - In test mode the students get a simple audio test. They can hear either the word in isolation or in a sentence and they have to type it into the field. This is a great test to use with words that sound similar as it can give students the opportunity to test their ability to hear the difference both in isolation or in the context of a sentence. 2. Teach - In the teach mode the students hear the word alone and in a sentence and then the word is spelled out for them. 3. Play - In the game mode the students have the choice of a range of games that they can use to develop their ability to use the word in context or just test the recall of the words and ability to recognise them. How about using this with students? 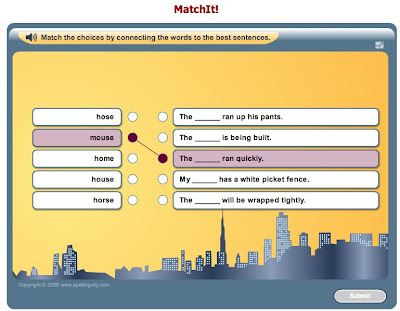 You can either get students working alone on Spelling City revising their vocabulary or if you have an interactive whileboard or data projector in class you can create the tests in class in response to the new vocabulary demands of your students during class. 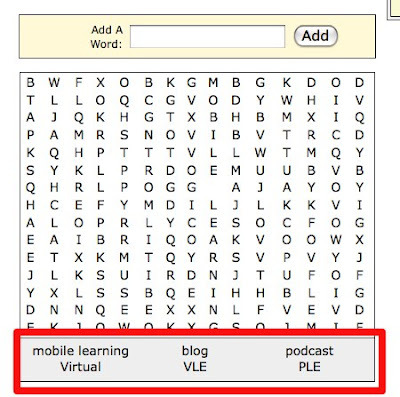 just collect any new words that come up during the class and towards the end of class or at the beginning of the next get the words up on the board and click to create some interactive tests live in class. 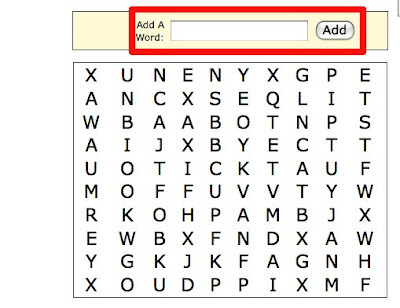 Just add your words then click to test, teach or play a game. If you use a game you can click the small icon in the top right corner to see the game full screen on the board. 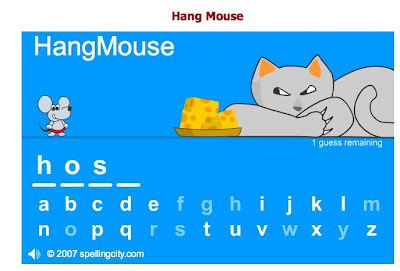 Many of the games will also provide a print friendly version of the activity for you to print and use in class, so you caould also use this tool to creat a range of paper based word game activities too. Spelling City is a great tool that can really help EFL ESL students with their spelling, vocabulary, listening and receptive pronunciation. Would be marvelous if you could download and save the activities that are generated, but I guess you can't have everything. I'm also not sure how big the database of words and audio sentences is, so I'm not sure what kind of coverage this would have for higher levels, but for lower level learners and for kids, I'm sure it's a winner. Hope you find it useful. In our rush to find and report on what's new we can often overlook a lot of really valuable resources that have been around a while and stood up to the test of time. Often these older sites and resources have survived for only one reason - because they a really good! 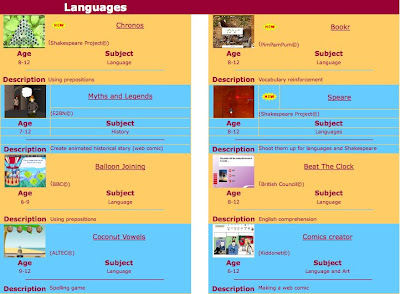 Kindersite is one such site. Kindersite was created by Joel Josephson and it focuses on collecting and categorising web based games and resources which are suitable for educational use with children. There is a huge collection there now and every time I look I find something new. 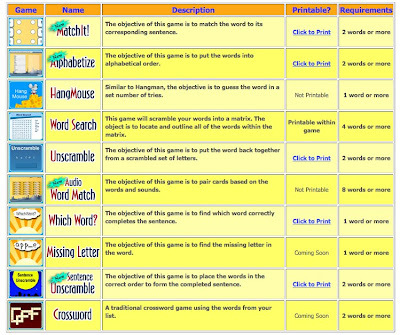 Kindersite is a really great resource with lots of really useful games for kids. I hope you enjoy it and I'm sure you will find something useful. Images are a great way to create curiosity and get students interested in finding out more about a topic, that's why The Photo Stream could be such a handy tool for getting students interested in reading short news stories. 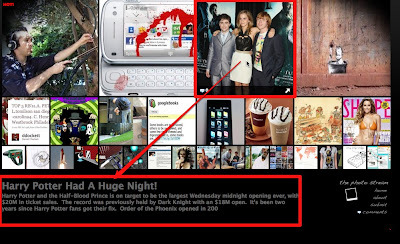 The site shows the images connected to news stories from all over the Internet. When you put the cursor over an image a brief summary / teaser text appears. If you click on the image you can go to the story at its original source. The story will appear with a Photo Stream frame at the top and here you can click on 'Comments' and leave a comment about the story. 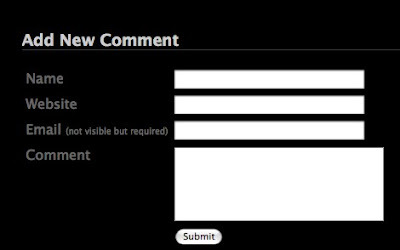 You just need to have an email address (which doesn't appear) to post your comment. In class you can show students the most recent images (using a data projector) and summaries and see which ones they would most like to read. They could discuss and vote on the one they most want to read and argue about why. Then click and print the story for them. Before showing the site you could get them to predict what images they will see based upon what they know is happening in the news. Give points for correct guesses. Show the images and ask the Sts to guess what the story is about and what information will be contained. Then print some or get students to read and check the stories to see if they were correct. Get students to read an article then post a summary as a comment. The main thing to be careful of with this site is the images may well be inappropriate for younger learners, so think carefully before letting your students loose on the site. You can find 30 + more reading activities for EFL ESL students here. 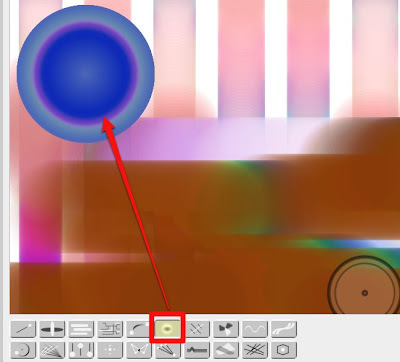 Animation tools seem to be getting better and simpler to use every day and this one by Anithings is a great example of that. 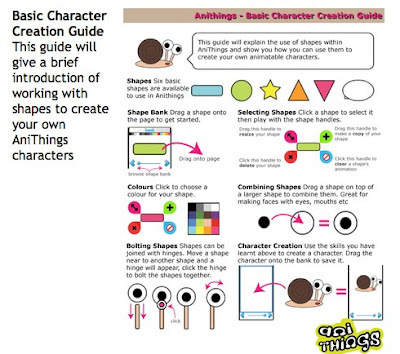 It's designed for young learners to enable them to create short animated narrative clips. 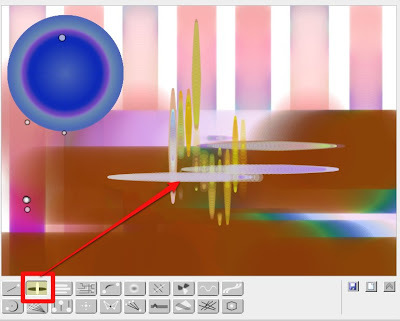 There's a nice video tutorial here showing how easy it is to create a short animated clip. 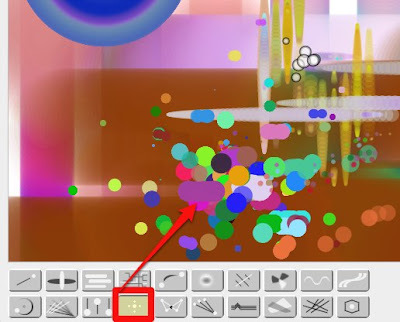 You'll need to have Adobe Air installed and then it is just a very quick download and you are then ready to start animating. There are some useful PDF guidelines on how to use it which you can download from the site too. There's a catch though, Anithings is still in beta and once it is finished the final version will cost money. Shame they can't think of a more up-to-date business model! Best download it now and get using it, if you can live with the bugs. You can find some nice examples here of what kids in UK have been doing with the software.